Ultrarunning with Brian Recore: HURT trail 100 mile run "Not for the weak"
HURT trail 100 mile run "Not for the weak"
January 19, 2013 I joined the HURT family for the 3rd year in a row to do the 100-mile run. 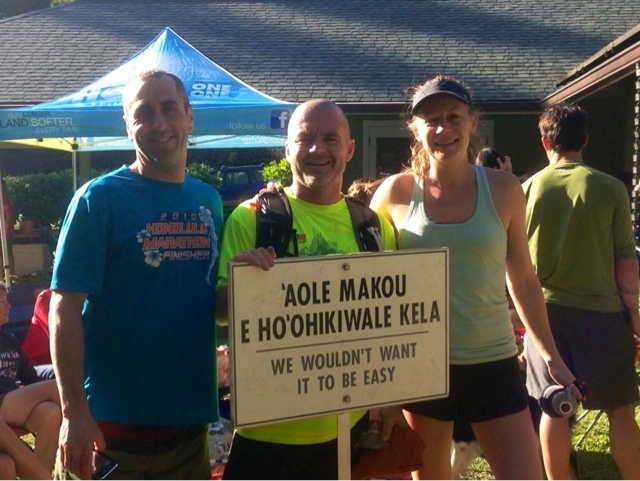 The race takes place on the island of O'ahu in the Makiki trail system. 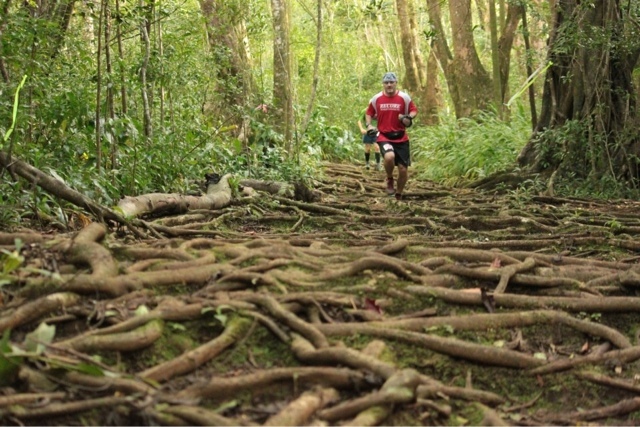 These trails are beautiful and give some amazing views of the island. 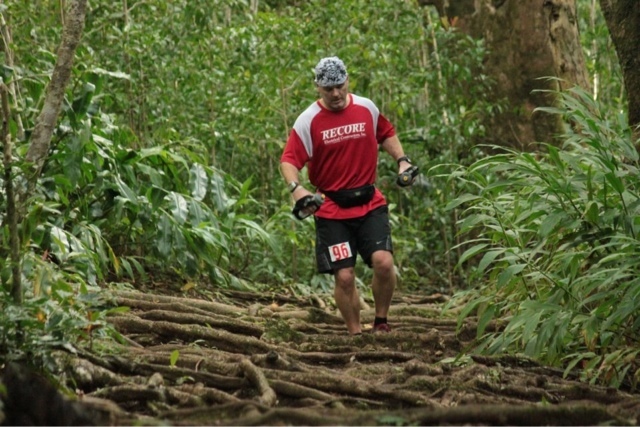 The race is five twenty-mile loops, with about 5,000 feet of cumulative elevation accent and decent per loop. HURT really does hurt. The course will definitely humble you. The statistics prove it with just a 43% finish rate this year. Overall I had a great race, finishing 40 minutes better than last year. I finished 38th out of 122 starters in 34:09:00. I'm also very pleased with how focused I was. Not once did I get tired, negative, or have any doubts. I had a great team helping me in Dave Easa and Sonja Billes. They met me at all the aid stations and they took turns running with me through me through the night and second day. As hard as it was, the HURT family is amazing. The volunteers at all the aid stations were wonderful. There were a few times that I even had to be reminded to get moving because I was being too social.